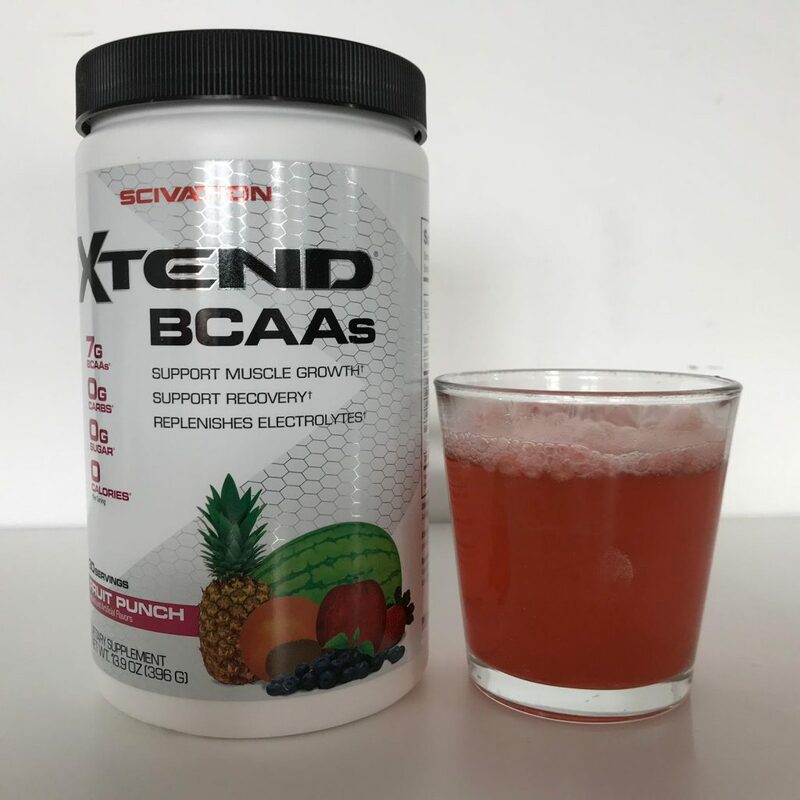 If you’re looking for a product that could help with muscle recovery, Sciviation Xtend BCAA might just be the one you’re looking for. It’s actually one of the most popular BCAA supplements on the market right now. In this Scivation Xtend BCAA Review, I’m going to be taking a closer look at this product. Does it live up to the hype? Let’s find out! Product Description: Xtend BCAAs is one of the best muscle recovery support products on the market right now. Scivation did a great job formulating this product. 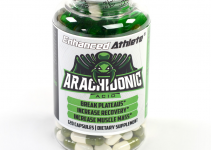 With over 7 grams of different branched chain amino acids, it is very effective and tastes great! 2 Does Scivation Xtend BCAA Work? 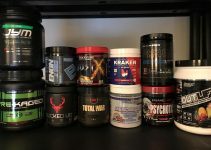 Before we dive further into my Xtend BCAA review we should take a look at the most important aspect. What ingredients does XTend contain? These ingredients will mainly help with improving overall performance. For me it really helped with increasing workout volume and intensity. Muscle soreness will definitely decrease when taking these BCAAs because they help improve recovery. The fact that Scivation Xtend contains 7 grams of branched-chain amino acids is great. In case you didn’t know, they play a very important role in the muscle recovery process. You’ll also find 220mg Sodium, 180mg Potassium and a small amount of Vitamin B6 in this product. What I like about Scivation Xtend BCAA is that it contains an electrolyte blend. It’s also important to know that Xtend contains zero calories. It’s completely sugar and carbohydrate free. This means you can even enjoy it whilst you’re in a caloric deficit, you won’t have to worry about those extra calories. Overall I’d say that Scivation has done an awesome job with formulating Xtend. The fact that this product contains scientifically proven ingredients means you won’t have to worry about the effectiveness. 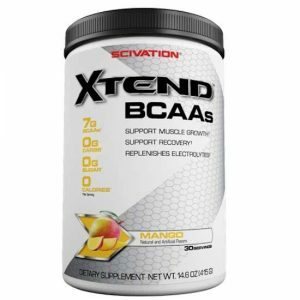 Does Scivation Xtend BCAA Work? With plenty of BCAA’s, Citrulline Malate and an Electrolyte blend you can definitely expect XTEND to work. So if you’re serious about working out and gaining muscle, BCAA’s might be worth taking. There are mixed opinions on whether Citrulline Malate actually helps with recovery. Some studies have found it to work but at high dosages of at least 6 grams, so I don’t think the 1 grams in Xtend will be very beneficial but who knows. Electrolytes are lost when you sweat heavily during a workout. It’s good to see that XTEND contains an electrolyte blend which will replenish them. I think they the blend is a great addition as electrolytes play an important role in contracting and relaxing muscles. 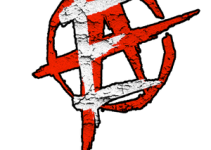 All in all, I think it’s a great complete formula that is a solid addition for everybody that’s into working out. A lot of people wonder if XTEND BCAA has any side effects. Dont worry, it doesn’t have any. Half a year of supplementation with BCAAs has not been linked to any serious side effects. This means you can add this product into your daily regime without having to worry about any side effects at all. I tried the fruit punch and it was amazing. Seriously, I am very impressed with the taste of this product. It’s far superior compared to other ones I have tried. It tastes quite sweet but you can simply fix this by adding more water. Usually, I’ll mix a scoop of XTEND with 1 liter of water. Xtend BCAAs are available in 3 different sizes. You can get them in 30, 60 and 90 servings. For this review, I purchased the 30 servings Fruit Punch for $23. I’d say that’s pretty average based on other products I’ve used. Besides that, I’ve paid much more for worse products. Based on what you are getting the price seems fair as XTEND contains 7 grams of BCAA’s. Scivation Xtend BCAA is definitely one of the better recovery products on the market right now. Compared to other products, Xtend is the best bang for your buck. 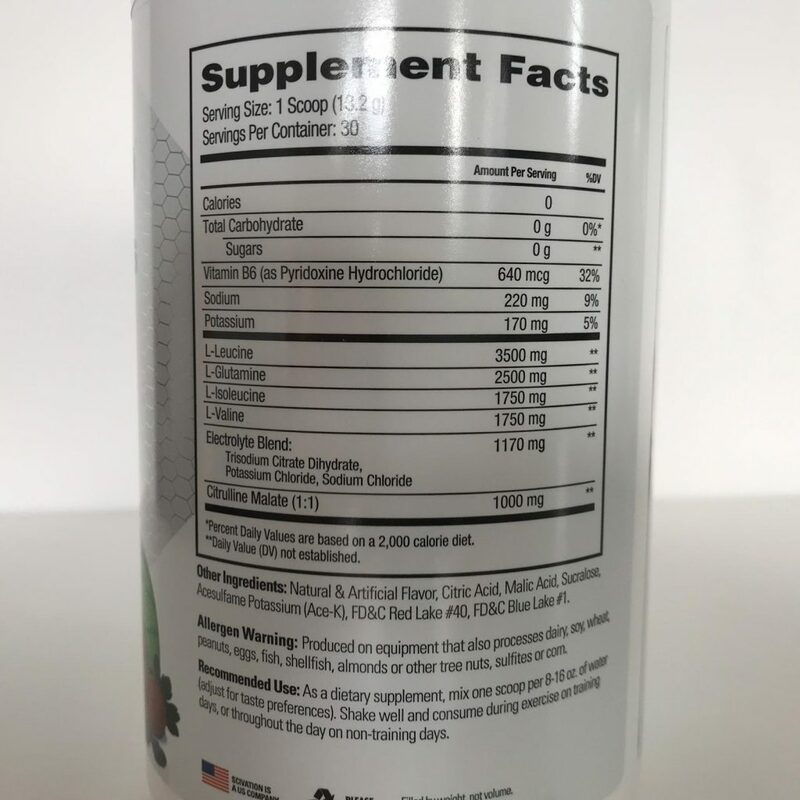 It contains more BCAAs than pretty much all other products and contains an electrolyte blend. Unfortunately, it isn’t as effective as a solid pre workout such as Mesomorph. It doesn’t get you going, but it’s effective when it comes to recovery and muscle growth.